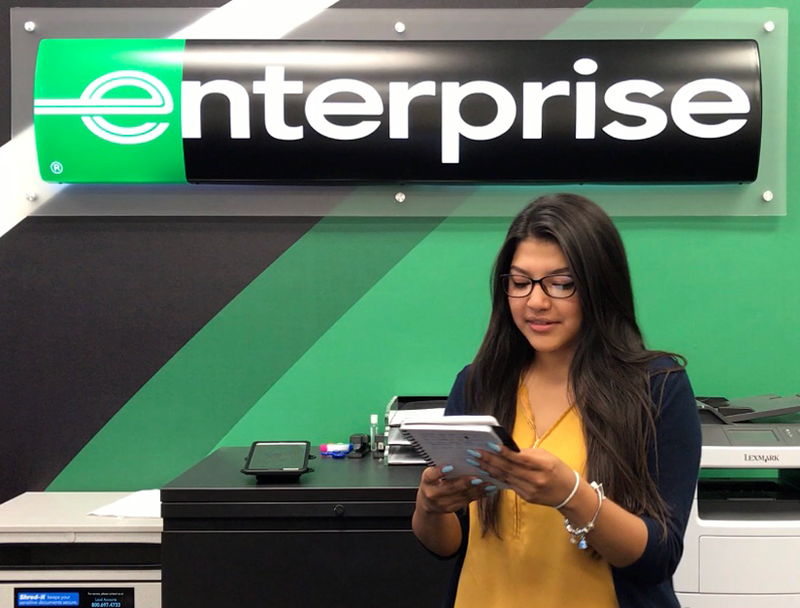 Natalie M. started at Enterprise as an intern in 2017, then joined the Management Trainee Program. We asked Natalie to share her goals for the future and how she makes the most of every day on the job. This time last year, I was in college at Florida International University and working at a hotel. I felt I wasn’t learning enough or getting promoted fast enough so I started looking for other opportunities. I spoke to an Enterprise recruiter, and two months later I started my summer internship. I joined the MT Program in January. When I started college, I wanted to go into broadcast media or sports marketing. I thought it was the only way I could be happy. I saw working at Enterprise as an opportunity to gain experience, but since I started I haven’t even thought about sports marketing. Teamwork really does rule. It’s just as important to maintain relationships with other employees as it is to maintain relationships with customers. There’s no way we can get done what we do without help from each other. What surprised me the most when I first started was how much leverage I had, even with the title of Intern or Management Trainee. We have superiors to go to for advice, but if a customer is unhappy, it’s up to us to decide on a reasonable way to make things right. Enterprise is a career, not a job. It’s something to build. When you take the right steps, so many other opportunities become open to you. The team I work with. Even after a bad day, I always look forward to another great day with my team. The way Enterprise treats their employees has a huge impact on that. I want to expand myself and my experiences. My goal is to become a successful branch manager, and from there go on to Fleet Management – building and maintaining those important relationships. I’m looking forward to the next few challenges. There are more things to come! No matter what job you have, it’s only as good as you make it. You’re going to have good days and stressful days. But at Enterprise, you know you’re going to get what you put in. That’s not always promised at other companies.